It is important to understand the difference between static and dynamic weight when loading your canopies and tool-boxes. 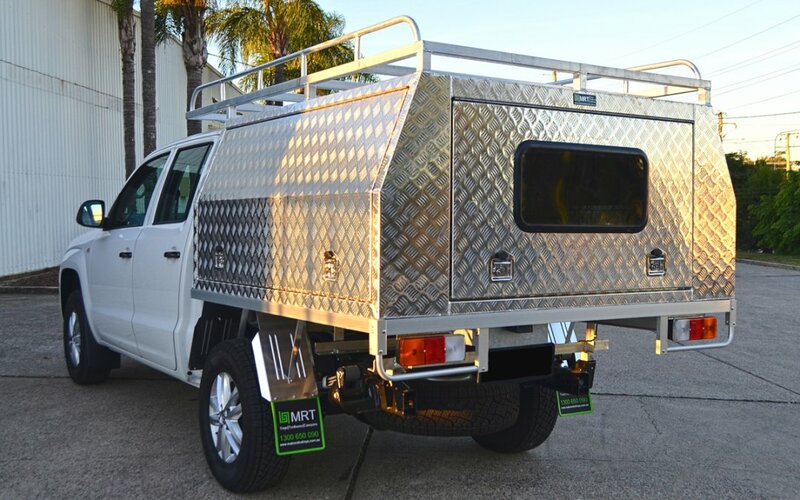 Throughout the range of MRT ute canopies and tool-boxes there are weight ratings associated with each individual product. The weight ratings may seem low, as some are rated as little as 10kgs. However once dynamic weight is taken into consideration the recommended weight makes total sense. The difference between static and dynamic loading can be generally described as non-movement and movement. 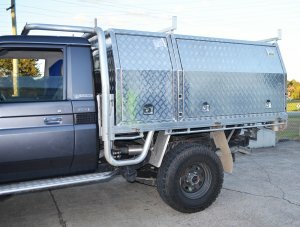 In relation to ute canopies and tool-boxes it is the difference in force generated while parked and driving. This must take into consideration the variances of roads and conditions that you will be driving under. When you go over a speed bump or down a corrugated road the force applied by your load increases drastically. While static loads place all the force directly downwards, dynamic loads can place force in a variety of directions. This creates another complexity that must be accommodated for during the construction of ute canopies and tool-boxes. MRT products are created with all these conditions taken into consideration. We know that the owners of our canopies put them to the test, and we want to make sure that they can endure. We wont get into the nitty-gritty of the maths and physics behind static and dynamic loads here (check out a breakdown outbackjoe has done here: https://outbackjoe.com/macho-divertissement/macho-articles/roof-loading-and-roof-top-tents/). 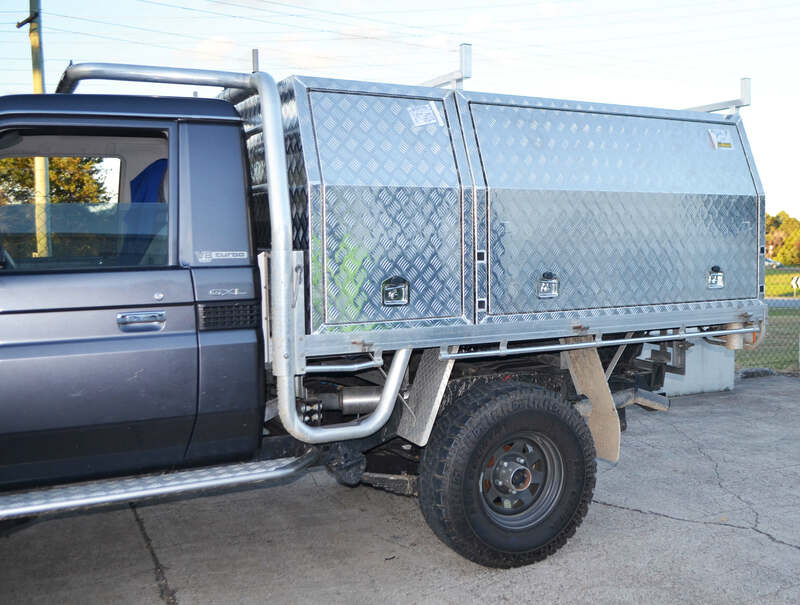 In the breakdown highlighted it was estimated that a load of 70kgs travelling on the roof of a Hilux at 80kph down a corrugated road could generate a force of 700kgs. This outlines the huge force differences between static and dynamic loads. When considering this above scenario you must consider the constant and dramatic changes associated with driving under these conditions. All MRT canopies and tool-boxes are created with dynamic load in mind and are rated as such. A tool-box that is rated for 10kgs is having to accommodate a force of up to 100kgs in some conditions. There is an easy experiment you can do at home to show the difference between static and dynamic loads. Take a hammer and let it rest on your hand, this is easily done without any effort. Now take the hammer and drop it onto your hand from a short height, say 15cms. Note the difference in pain between the two instances. The first instance is a classic demonstration of a static load and the second a dynamic load. The dynamic load builds force through acceleration due to gravity, this force is then transferred to your hand. The static load is unable to generate any force due to no acceleration. You can view the loads in your canopy the same way. Stationary the load has only the force of its own weight. When moving the load has potential to move and impact the container differently, resulting in higher forces. When put into perspective it is easy to see why MRT canopies and tool-boxes have the weight ratings they do. The build quality and materials that are put into all MRT canopies and tool-boxes allow them to withstand the pressures placed upon them during both work and play. Head into one of our store fronts or check online to see our full range of aluminium canopies and tool-boxes.